Asia Villas for Holiday Rental Accommodation - Book Now! Our destinations brings you way beyond the tropical joys of “sea, sand, and sun”. They are places where you can enjoy them in extravagant luxury. Luxury is provided at its best. Beyond bedrooms are spacious living areas, ample garden with private pool, and expansive views of beautiful surroundings. Room service is something for ordinary people. A fleet of well-trained staffs led by professional villa manager is exclusively dedicated to pamper our guests. To most of us, holidays are precious moments that you share only with loved ones. Unfortunately when it comes to accommodation, unless you block the whole property, no matter how luxurious they are. In public accommodation like hotels, even if they try to impose privacy by providing secluded bungalows even villa units, most likely you will still have to share certain facilities and services with complete strangers, other guests. 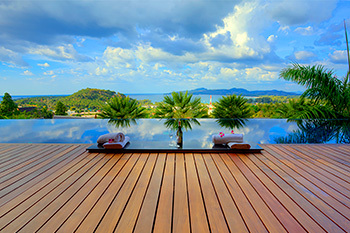 Renting a villa gives you ultimate privacy as the 6th star to 5-star luxury accommodations. 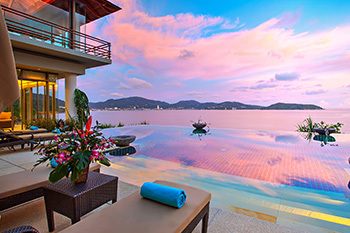 Rent one of our Asia villas and you will enjoy your tropical holiday just like at your very own holiday home. For the duration of your stay, the whole property is yours to enjoy. Beyond just a bedroom with attached bathroom, you will have everything available for your personal disposal, from ample living area to fully-equipped kitchen, from spacious garden to private swimming pool. You will even enjoy a fleet of professional staffs dedicated to pamper your stay. Other than villa staffs who solely “work for you”, you will see no strangers unless you invite them. 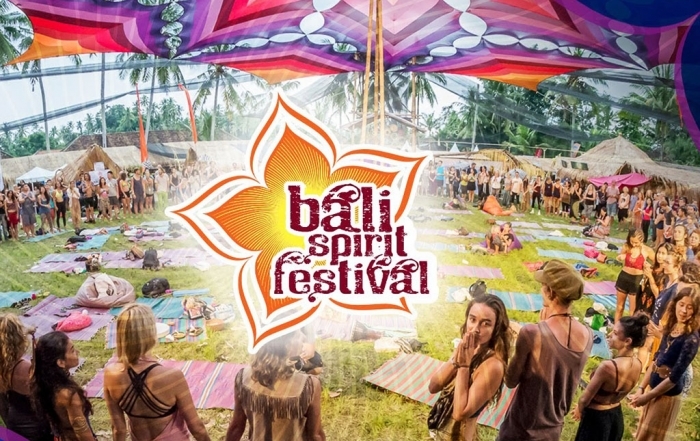 Small enough that only takes five to six hours drive from one end to another, Bali is large enough to offer everything you may expect from a tropical destination. Not only numerous beautiful beaches but also thousands-meter high active volcanoes and anything in between like tropical forest and river streams. 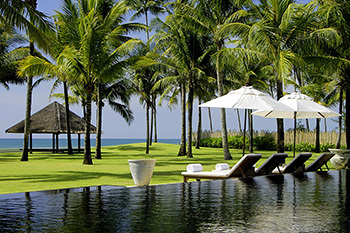 Accordingly, choices of Bali villas in our portfolio come in different natural environments. hillside with verdant tropical forest, amidst sea of expansive fields gently steeping down to the shoreline, by the sea that only take a few steps to the beach. 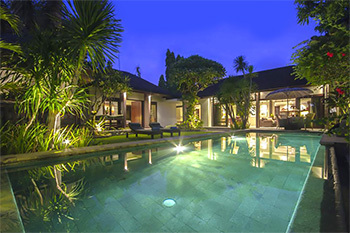 Bali has the most extensive choice of Asia villas. 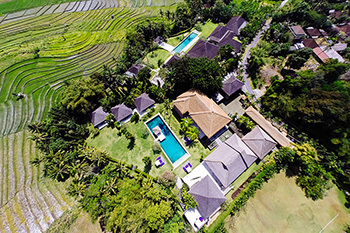 Extending its more than 5,000 sqm garden is expansive rice fields gently sloping up to the horizon, spaciousness you can enjoy from each of its 6 spacious bedrooms. 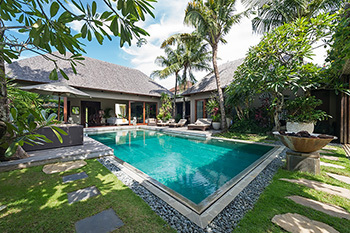 Nestled in expansive gardens gently sloping down to the beach, the 7-bedrooms Villa Taman Ahimsa is perfect for a large family who love the beach and activities on it. 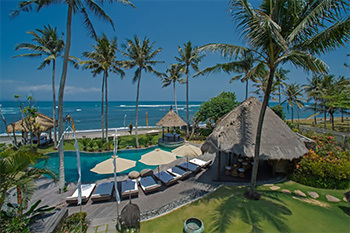 Whilst most villas in the area offer beach as the main attraction, Maya Reatreat replicates Ubud atmosphere. 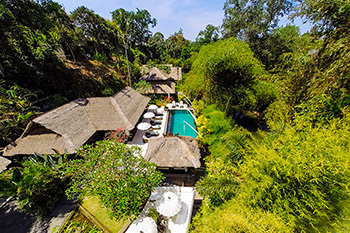 Its 6 bedrooms accommodation sits on a riverside surrounded by verdant forest. Only about 30 minutes away off Bali’s southeast coast, Nusa Lembongan offers completely different atmosphere. It is all about the best you can think of beach and beyond, a mesmerizing beauty hidden underneath its indigo water. In the past, it is more popular to sun-seeking backpackers. 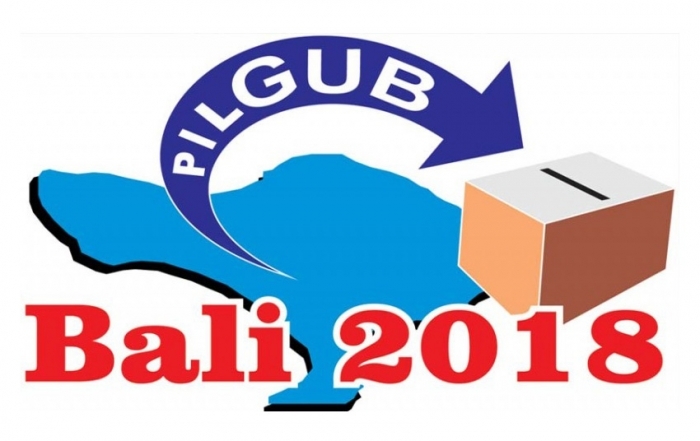 Now more upmarket establishments are adequately available, including lavish private villas. DREAM BEACH 5br – Located right on a small bay with beautiful white-sand beach surrounded by perfectly natural environment. The beauty is enjoyable from each of its 5 luxurious bedrooms. 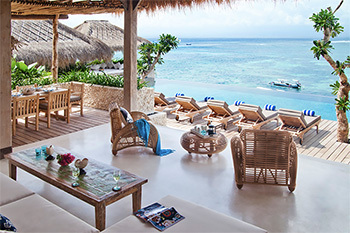 COCONUT BEACH 5br – Sitting on a cliff gives the 4-bedrooms Villa Lago an even better view from an elevated position. Nevertheless the beautiful Coconut Beach is reachable through a private access. LONG BEACH 3br – Located on a rocky waterfront at one end of the most popular beach in Lembongan gives Villa Biru a perfect view not only of the ocean but over the long stretch of white-sand beach. Afloat overlooking Andaman Sea in the southern end of Thailand, Phuket is a perfect tropical island surrounded by strips of beautiful white-sand beaches among rocky cliffs. 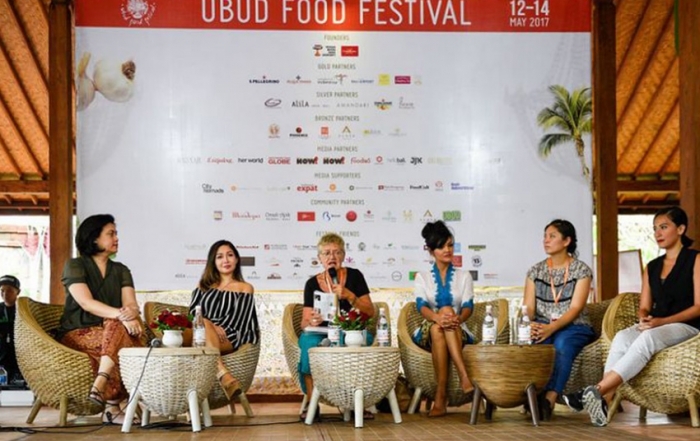 In addition, its popularity as the “party capital of the Southeast Asia” makes Phuket a perfect place for both family holidays as well as fun-seeking young travelers. Fortunately the idea of enjoying holiday in the privacy of a private home is not an exclusive privilege to those who prepared to spend thousands of dollars a night. We have private villas priced as low as $200 per night. They do not have silk bed sheets, acres of garden, or breathtaking ocean view, but quality of both the properties and their services are also guaranteed. They also have all private villas are expected to have in addition to bedrooms with private en-suites. Ample living spaces, kitchen, garden, private pool, and adequate staffs. SEMINYAK BALI 2br / 3br – Nestled in a peaceful neighbourhood in Seminyak, a stay at Chimera Villas gives easy access to all Seminyak has to offer including the beach. 2 units of 2br villas and 1 unit of 3br villa. 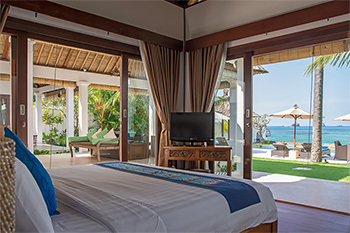 CANDIDASA BALI 3br – Villa Gita is a rare example of affordable beachfront villas. Where else can you get a villa where you can jump into the sea off its poolside at less than $300 a night? Rarely available though! 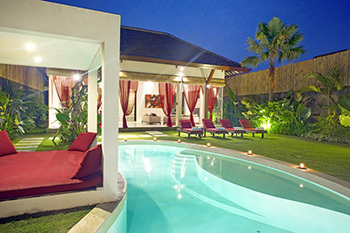 SEMINYAK BALI 2br – Villa Can Barca is a restful sanctuary in the middle of Bali’s most popular holiday enclave. Surrounded by stylish restaurants and cafes where the beach is only a stone-throw away. 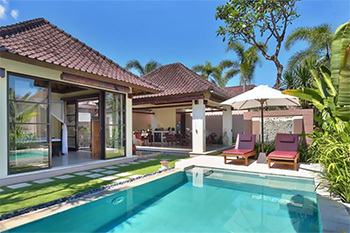 SEMINYAK BALI 2br/3br – Eshara Villas prove that budget villa does not necessarily mean small garden squeezed between walls. Whilst they are located in the middle of all Seminyak happenings, they are spacious. SEMINYAK BALI 2br – Whilst most of its neighbours are large villa resorts, Villa Alice is a small sanctuary where everything is kept in privacy. Only 2 units of self-contained 2 bedroom villas which can be connected. 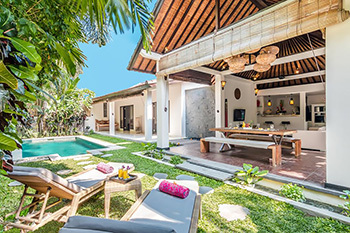 SEMINYAK BALI 1br/2br – Offering 12 units of individual villas each with either 1 or 2 bedrooms, Bli Bli Residence is suitable for honeymooners or group of friends travelling together but wanting private space. Whilst it is true that villas in our portfolio are fully self contained to make themselves a destination on its own where you can rest, relax, and do a lot of things without stepping out of their gates, there are plenty of even more interesting things out there awaiting to explore. The best idea is to use the Asia villas you rent as a restful sanctuary as a base to explore what the destination has to offer. To find out what the destinations have to offer, what you can do to enjoy your time outside the villa, our travel blog is the best place to search for ideas so you can craft your plan. 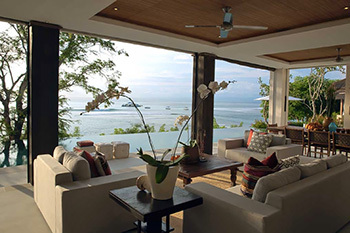 Royal Sanctuaries offers an extensive list of luxurious Asia villas available to be rented as holiday accommodation. To those with tighter budget, we also have cheap villas. Rather modest in luxury amenities, but definitely comfortable, fully self-contained, and have adequate staffs. Copyright 2017 Royal Sanctuaries | Trusted rental agent of Asia villas. | All rights reserved.